I marvel at people’s creativity. As we have put together the premier issue of Classic Sewing, Kathy McMakin and I have had the opportunity to see gorgeous creations made. Tiny stitches and lovely fabrics fill our offices. Every time one of our designers sends in a new project, we stand in awe. I have shared the story of Allison Banks with you before, but she has outdone herself this time. As a gift to our subscribers, she designed a beautiful set of monogram letters that will take your breath away. Isn’t this just beautiful? When we sent the artwork to Charlotte Gallaher, she took the artwork and digitized it so that it can be stitched on our embroidery sewing machines. 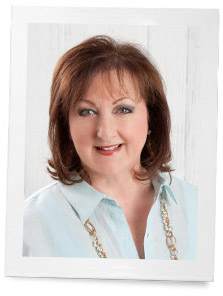 And we’ll have gorgeous creations by Evy Hawkins, who has made many grandmothers and mothers happy with her work. What little girl wouldn’t want one of her beautiful tiny purses to carry? What do you love to sew for loved ones? You have to respond to external stimulus and act accordingly. Technological advancement is one of the external stimuli. Bring innovation and mold our business operation according to advancement. Author highlights all aspects very clearly. 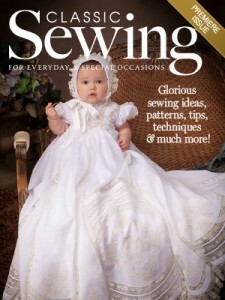 When my grandchildren were younger, I sewed clothes for them. Now I’m into making decorator pillows for them. Always include embroidered initials or names on them. Even my 7 year old grandson likes his that I gave him for his last birthday; travels with it. Today I finished 2 to send to my oldest grandchild, Lauren, who is just starting her freshman year in college, across the country from her home. Included block initials on one & cursive first name on the other. Hope these help her to feel in contact with grandma, even though she’s 3000 miles away. any more, but I am so glad that I gave her to Christ in a dress as beautiful as the one she may one day wear for her wedding! HI Phyllis, I would love to see the design you shown with the 3 letters read MOM on some towels or tea towels. would make a great gift. Can’t wait to see the first publication. Good Luck and have fun in your new adventure. I would not call myself a seamstress, but I do love to embellish clothing with unique buttons and little flowers for my granddaughter and my nieces. I love to see their little faces light up with excitement! I am going to subscribe to your new magazine. It’s never too late to learn new things and LOVE all things monogrammed!! I know your patterns are going to be way above my head….but it will hopefully be an incintive to learn. I know, because I love all your other magazines! I wish you all the best as you prepare the premier issue!! Is this Even out yet? I have looked at bookstores, sewing stores, grocery stores and have yet to see it. This is truly going to be such an amazing magazine. I used to make all the clothing for my girls when they were young, my most favorite was a suede jacket for my eldest daughter. 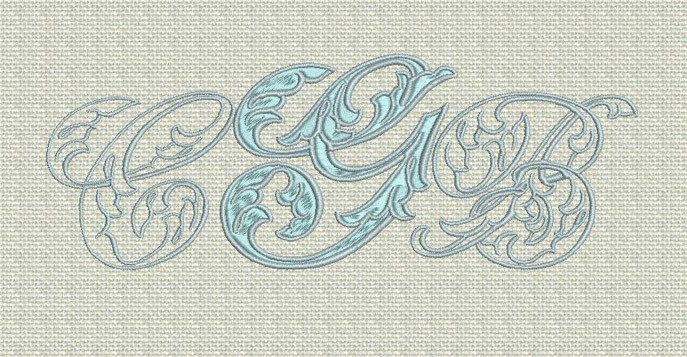 I have sewn just about everything for my family and friends, I would love to learn how to monogram, they are the most favorite of my antique linens I sell, and I would love to be able to embroider linens myself. Since I’m at the age when down-sizing seems like a thoughtful thing to do, I go through my fabric occasionally. Just this past weekend I put out a stack for my daughter-in-law and granddaughters to go through. And amazingly, the stack is GONE!! 🙂 I find it easier to let things go now — but that doesn’t ever keep me from buying more.